Enrique Vaquerizo told for the Spanish online newspaper El Confidencial the incredible story of the man who saved the last Catholic Church in Dakhla (Sahara) Our Lady of Mount Carmel from destruction. 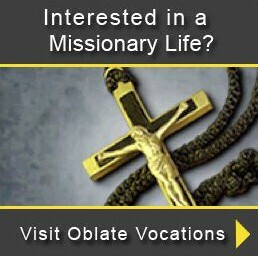 The Oblates of Mary Immaculate have been serving there since 1954. The traces of the Spanish occupation in the Sahara have almost completely disappeared, but in the area of Western Sahara the signs of the Iberian presence can still be found in what was once called Villa Cisneros, now more commonly known as Dakhla. While in the last century it was still a city that housed a flourishing Spanish citadel, today of the colonial past only retains the manholes and the church. The building can now be visited thanks to Semlali Mohamed Fadel. 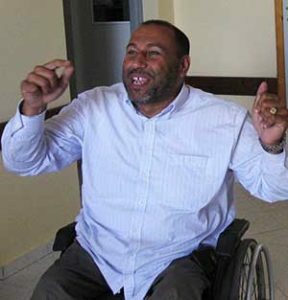 Although Muslim, you can meet him on Sundays while crossing the aisles of the church in his wheelchair. 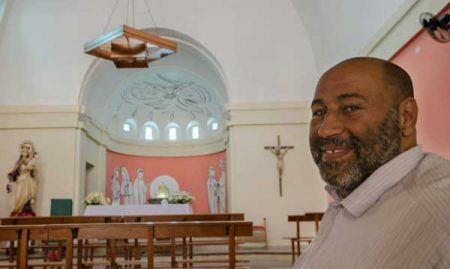 Sahrawi, Muslim, disabled , Semlali Mohamed Fadel, known as “Bouh”, knows and talks about the church as if it were a tourist guide. Born in 1965 and the son of a Sahrawi soldier linked to the Spanish army, he was sent to Spain at the age of four after contracting polio. He spent six years in Las Palmas with the brothers of San Juan de Dios and decided to return to Sahara in 1982, but it took little to realize that Villa Cisneros as he knew it no longer existed. 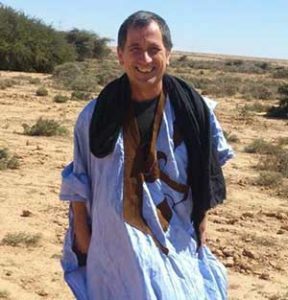 After the withdrawal of the European colonial powers from North Africa, in fact, the territory of Western Sahara was occupied initially by Mauritania and then by Morocco. Bouh, who embodies both the Spanish and Sahrawi identities, and after growing up in a Catholic reality, found himself in a country that he did not feel was his own. “I didn’t know much about Islam, I had forgotten how to speak Arabic… In Las Palmas I went to mass but I didn’t take communion, I was in church but everyone knew that I was a Muslim and they respected me. On my return I suddenly became a stranger”. Bouh sought refuge in a place that could be familiar to him, but once he arrived at the church of Nuestra Señora del Carmen he found it closed and occupied by soldiers. The Moroccan army in fact began to use it as its headquarters after the Spanish retreat. “When the Spaniards left, the Christian community of the city disappeared with them. In the years following the occupation there were no more than 5 or 6 Spaniards. The Moroccans did not leave anything here that recalled Spain. 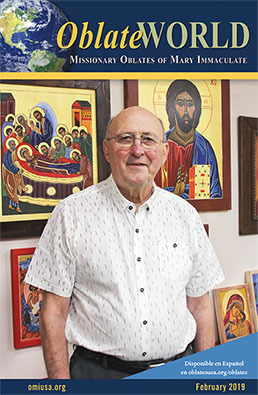 Father Luis Ignacio ROIS, one of the Missionary Oblate of Mary Immaculate in Dakhla, also remembers those times. “In 1975 everyone left, only the missionaries remained, they remained out of friendship with the Sahrawis and because the Vatican asked us to stay. 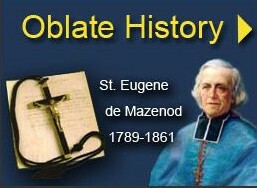 The Moroccans occupied the church for several years to put pressure on them”. Although the Spanish buildings had already been in ruins for some time, and against UNESCO recommendations, in 2004 the government of Rabat decided to eliminate even the last vestiges of the colonial past by destroying a Spanish fort of the nineteenth century, the oldest building in Western Sahara. If Bouh had not intervened, the same fate would have happened to the church of the former Spanish enclave of Villa Cisneros. At the sight of the soldiers who were about to destroy the sacred building and had already demolished the rear, a neighbor went to call Bouh, who stood between the church and the digger. “The military told me that (the church) was useless, abandoned and would fall… Plus it was a Christian place and they were Muslims. I answered that no, it was ours, it belonged to the Sahrawi people and no one could touch it. I ran to call my neighbors and we didn’t move until the governor arrived”. 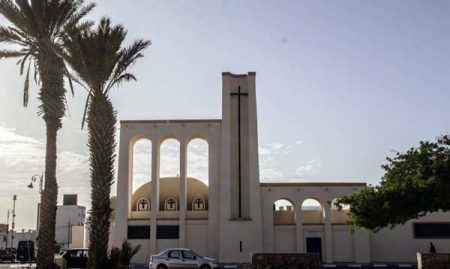 From that moment on Bouh promoted a campaign of social unrest, tried to contact the Apostolic Prefect, the authorities of El Aaiùn and the Vatican, until the governor of Dakhla agreed to leave the church. In return, he asked for an end to the protests about the back that had already been destroyed, and now Nuestra Señora del Carmen stands as the only testimony to a bygone era. 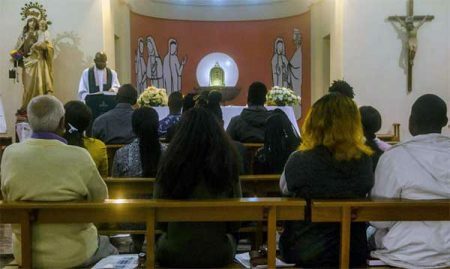 Father Luis Ignacio Rois assures us that the migration has reinvigorated the Catholic community of Dakhla and tells us how many migrants, once they have made the decision to cross the Mediterranean, go to him and ask him for a blessing.